After a gloomy domestic opening, “Cloud Atlas” could use a silver lining — and producer Grant Hill is convinced there is one, forecasting sunshine for the film’s global rollout. The international investors, producers and distributors converging in Santa Monica for the American Film Market serve as a reminder that domestic is a small corner of the film world. Hill says his optimism comes from the film’s strong international underpinnings. 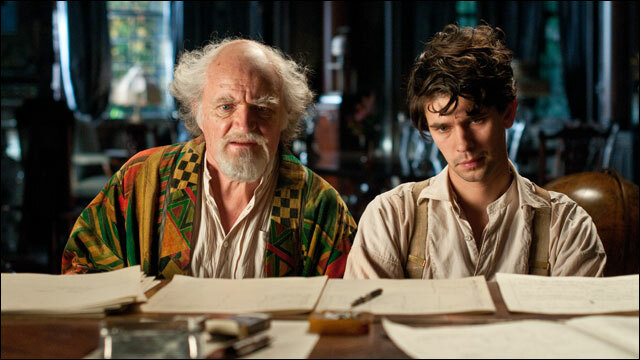 “Cloud Atlas” is produced by Hill and Stefan Arndt of Germany’s X Filme, which has German-speaking rights and will open in mid-November. Media Asia Group, Dreams of the Dragon Pictures and Ascension Pictures have equity stakes and will distribute in their respective territories starting in January. Russia’s A Company is a co-producer, with Fox Intl. distributing the pic widely across Russia starting on Nov. 8. Warner came on board for the U.S. rights when shooting began in September 2011, with producers holding back rights for Japan, France, Spain, the U.K. and Australia. Warner also paid for distribution rights to those territories in May once studio execs saw the directors’ cut, according to Hill. Aside from the financing, the film has a heavily international cast — Tom Hanks and Halle Berry support offshore talent including Jim Broadbent, Hugo Weaving, Jim Sturgess, Ben Whishaw, David Gyasi, Zhou Xun and Doona Bae. Pic lensed using two full units in Scotland, Spain and Germany. Domestically, there’s little hope for salvage. With a budget estimated at $100 million, “Cloud Atlas” underwhelmed in its U.S. opening with $9.6 million at 2,008 screens last weekend. Domestically, it seems unlikely to pass $20 million. Those 2,008 locations represent a hand-selected group of the nation’s best-performing theaters concentrated on the coasts (only 55% of the film’s engagements — or 1,100-plus — each grossed $3,000 or more). By comparison, “Argo” in its third weekend averaged $4,233 from 2,855 locations. There is precedent to argue that Hill is not, in fact, in a state of serious denial. It’s conceivable the ambitious pic by the Wachowski siblings and Tom Tykwer could repeat what happened with Tykwer’s 2006 release “Perfume — The Story of a Murderer.” The English-language thriller starring Ben Wishaw, Alan Rickman and Dustin Hoffman grossed just $2.2 million in the U.S., where the source novel wasn’t as widely known. But foreign grosses totalled an impressive $133 million, due largely to a huge fanbase for both the novel and the helmer in his native Germany. Plenty of movies this year face-planted domestically before moving on to respectable heights overseas — pics like “Battleship” and “John Carter” each nearly tripled domestic grosses internationally. And British author David Mitchell’s 2004 novel on which “Cloud Atlas” is based was more popular in Europe than the U.S.; it was also a hit in China. Warner Bros., which paid $15 million to distribute “Cloud Atlas” in the U.S. and other markets, felt compelled to release it wide in the U.S. primarily because of the negative costs involved. To Warner’s credit, the studio purposefully kept “Cloud” at fewer than 3,000 locations knowing that any additional U.S. engagements — mostly in smaller markets — would have limited the pic’s per screen average.